The reputation of Aung San Suu Kyi's government in Myanmar is at stake amid international concerns over how it is dealing with violence in the country's divided northwest, a senior United Nations official warned on Tuesday. The conflict in Myanmar's Rakhine State has sent hundreds of Rohingya Muslims fleeing across the border to Bangladesh amid allegations of abuses by security forces. 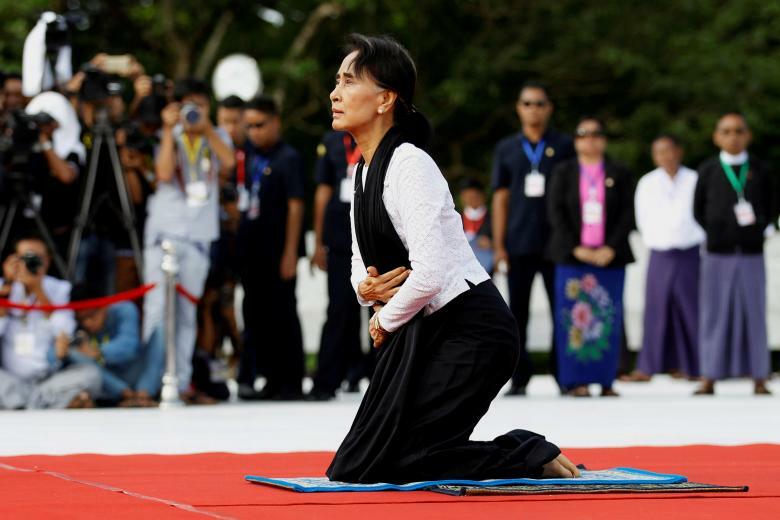 The crisis poses a serious challenge to Nobel Peace Prize winner Suu Kyi, who swept to power last year on promises of national reconciliation. In a statement, Adama Dieng, the U.N.'s special adviser on the prevention of genocide, said the allegations "must be verified as a matter of urgency" and urged the government to allow access to the area. "If they are true, the lives of thousands of people are at risk. The reputation of Myanmar, its new Government and its military forces is also at stake in this matter," he said. "Myanmar needs to demonstrate its commitment to the rule of law and to the human rights of all its populations. It cannot expect that such serious allegations are ignored or go unscrutinized," he said. Soldiers have poured into the area along Myanmar's frontier with Bangladesh, responding to coordinated attacks on three border posts on Oct. 9 that killed nine police officers. Myanmar's military and the government have rejected allegations by residents and rights groups that soldiers have raped Rohingya women, burnt houses and killed civilians during the military operation in Rakhine. The violence, the most serious bloodshed in Rakhine since hundreds were killed in communal clashes in 2012, has renewed international criticism that Suu Kyi has done too little to alleviate the plight of the Rohingya minority, who are denied citizenship and access to basic services. "The government needs, for once and for all, to find a sustainable solution to the situation of the Rohingya Muslims and other religious and ethnic minorities in Myanmar, a solution that is in full compliance with the international human rights standards that the government has pledged to respect," Dieng said.